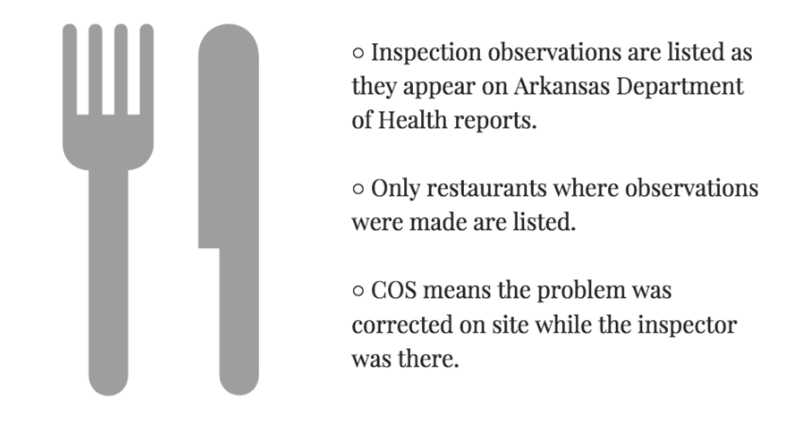 See the latest reports from visits by Arkansas Department of Health inspectors to Little Rock-area eateries. Are there any places that were inspected with no issues? How about a list of those places included? A few questions. It seems that the same issues are seen over and over. Do they know what the inspections are looking for? What about accountability for the owner and manager on duty? Are food service requirements part of the employee training, is the training done and documented? Surely or hopefully there is a startup checklist with these concerns checked before opening or closing each day. Uh, never mind. And people want to pay $15 dollars an hour?